From the infamous to the insane, we have picked some of the quirkiest and coolest attractions around. 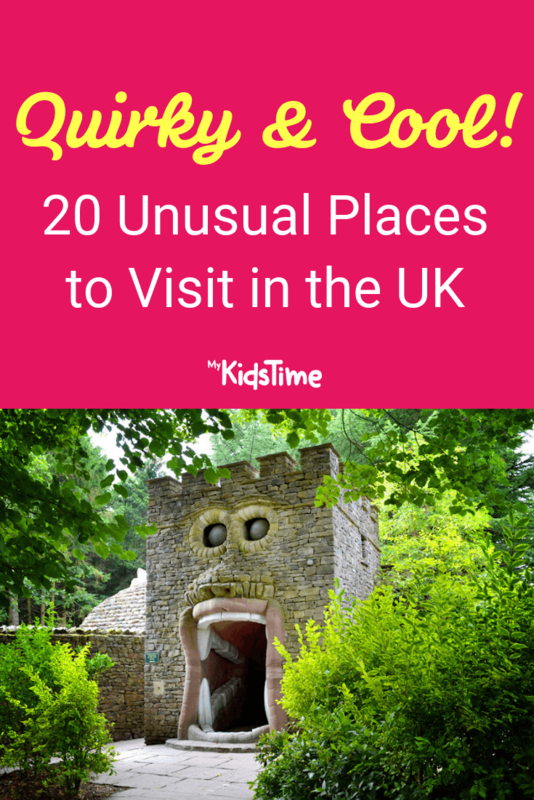 Fun is guaranteed with these 20 unusual places to visit in the UK! Which will be your favourite? We’ve put together a list of some of the most fun, the most innovative and unusual days out to test brains and coordination, as well as organised mayhem that all children need now and again. 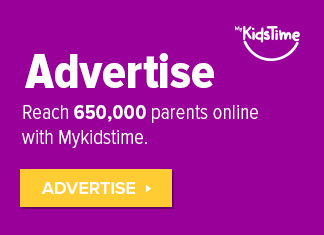 Magnificent and awe-inspiring – parents won’t help but be inspired as well. Kids of all ages can journey into landscaped worlds within futuristic domes and get immersed in botany on the way. One of the best bits is the Canopy Walkway, a raised platform high among the treetops in the rainforest biome. 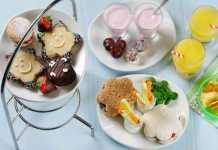 You can identify the various plants and trees, like cashew, rubber, banana and cocoa. For young thrills, there’s England’s longest zip line, the SkyWire over the biomes, a rock climbing wall and lots of interactive gadgets at the Core Building. There are also various play areas around the site, including mazes made of willow, large instruments to play, a wooden ship to climb, a sand pit and a gigantic nutcracker to wind. You can walk down the winding paths or you can ride on the land train tractor. With an average visit lasting over four hours, be sure to visit the website to plan your day. If history not your thing, then that’s okay. 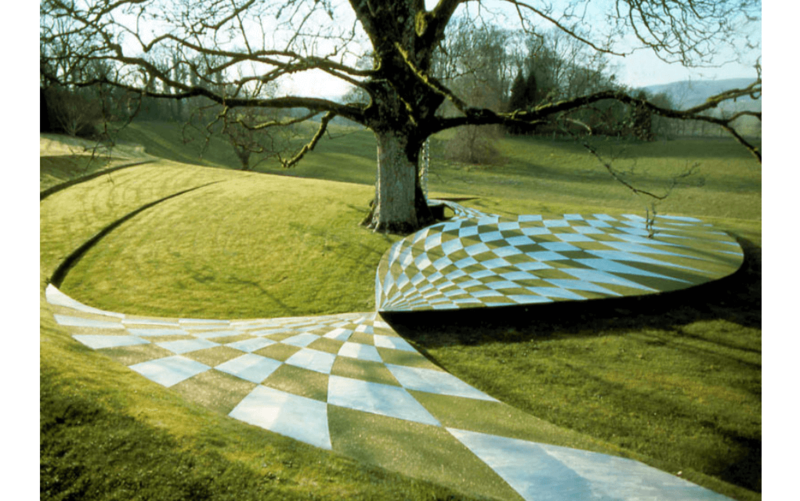 You’re sure to be mesmerised by one of Scotland’s most unusual places – a 30 acre garden inspired by modern physics. 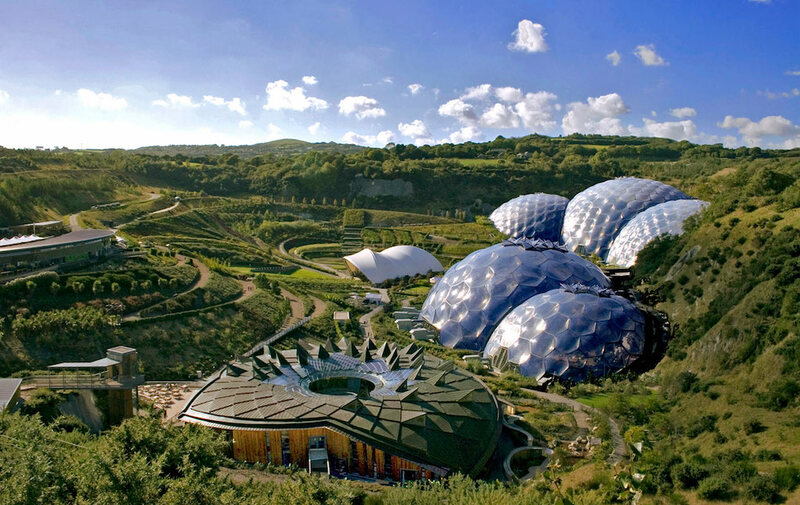 With five main areas, you will explore snail-shaped grass mounds, twisting DNA helix sculptures, and undulating waves of rhododendrons which make up the awe-inspiring open space of bridges, gardens sculptures and unique architecture! So let the kids free to explore the highs and lows of this beauty, and get some well-needed fresh air. Alice in Wonderland eat your heart out! If it’s extreme that you’re looking for to satisfy your thrill-seeking kids, The Slide is the place to be. Described as a ‘hair-raising London experience’, The Arcelor Mittal Orbit stands as the UK’s tallest public art display. Travel 80m to the top and then down the longest tunnel slide, at a whopping 178m long! Be bowled over by panoramic views of London, while squeezing in a few landmarks like the Gherkin, Big Ben and The Shard. Footy fans can even spot some of London’s famous football grounds, including West Ham Utd. 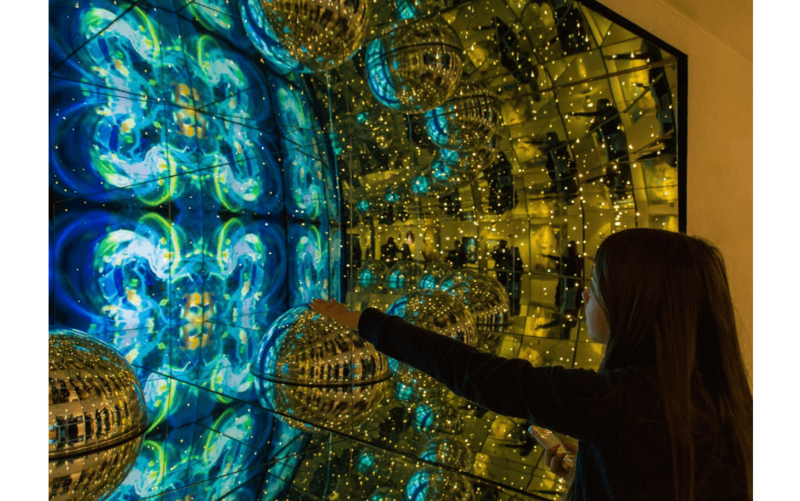 Take your time at the top – you’ll have a chance to learn more about the tower with interactive storytelling screens and, of course, don’t forget to flip the world upside down by taking a peek in one of the concave mirrors. 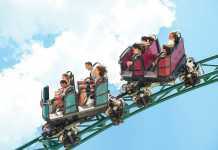 They’ve managed to pack a whole lot into a 40-second trip with loops circling the iconic structure 12 times, before whizzing you right back down to the ground on a 50m straight drop. 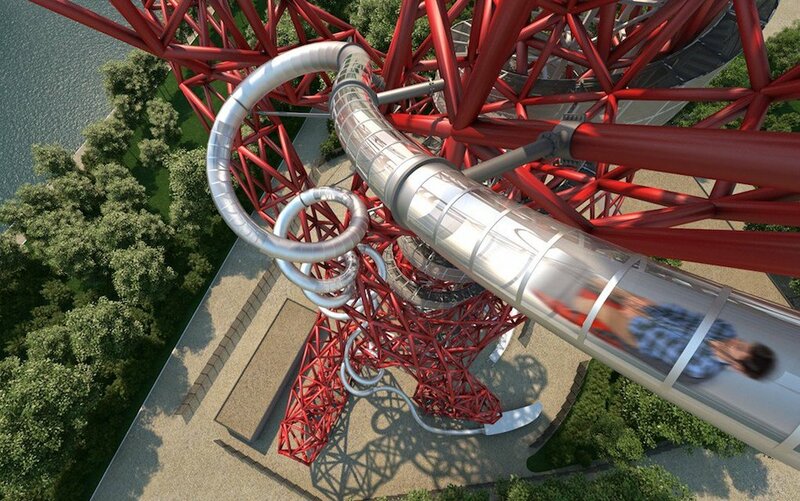 Everyone over 1.3m tall and 8 years of age can ride the slide, and it’s certainly more thrilling than the stairs! Looking for somewhere that gnome man has ever gone before…? For a brilliantly bizarre day out, you can journey through the enchanted wood, home to over 1,000 gnomes and pixies. Wander the four enchanted acres of The Gnome Reserve whilst wearing your very own gnome hats! Making over 70 television appearances and being in the Guinness Book of World Records, this attraction is exceptionally popular. Deep in the mystical woods you’ll find an enormous collection of gnomes and pixies. They’ll be hiding in unusual places along the pathway, and peeking behind the trees, so can your little ones spot all of them? In your phe-gnomenal outfits you’ll have the chance to take plenty of photos in a setting to remember. 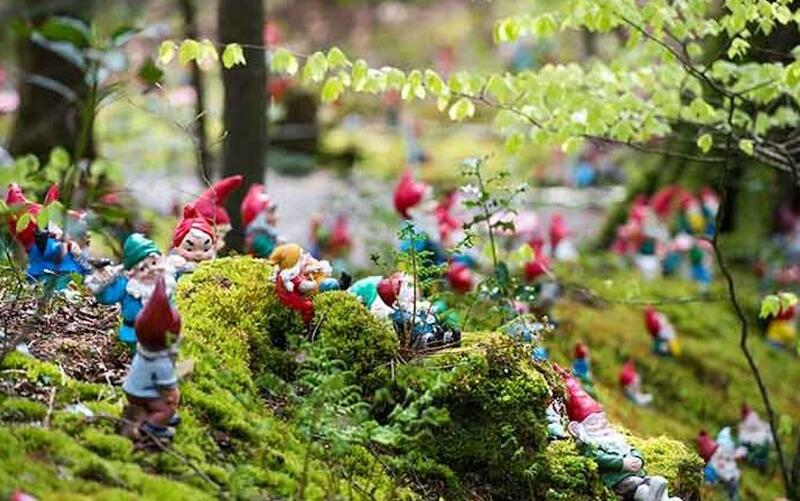 Walk through a picturesque wood and discover hundreds of little gnomes who can’t wait to say hello. Come and enjoy a cheap and quirky adventure, devour real Devon cream teas, and make memories you’ll never forget. Get ready for six floors of puzzles, special effects, games and other interactive craziness at one of Britain’s oldest attractions. The whole thing started in 1835 with the Camera Obscura, a live projection of a bird’s eye of Edinburgh from the top of a tower. This fascinating way to see the stunning city of Edinburgh and learn about its history will amaze and surprise you! Become a giant as you spy on passers-by in the street below, then pick them up in your hand thanks to the live moving images of the city projected onto a viewing table from a periscope. The Rooftop views are perched high up above the city and give you 360-degree panoramic views with the help of free high-power telescopes and binoculars. In Bewilderworld, step into a vortex tunnel and see if you can stay on your feet while it spins around you! Catch your shadow and shake it with your hands in the Magic Gallery, while in The Puzzling Zone you can watch yourself shrink and grow in the Ames Room and morph into your favourite animal! For a spooky, offbeat and brain-teasing afternoon of discovery a visit to The Forbidden Corner is a must. After popular demand, the site has been opened up to the public with four acres of all-out weird, and it’s one of our favourite unusual places to visit in the UK! 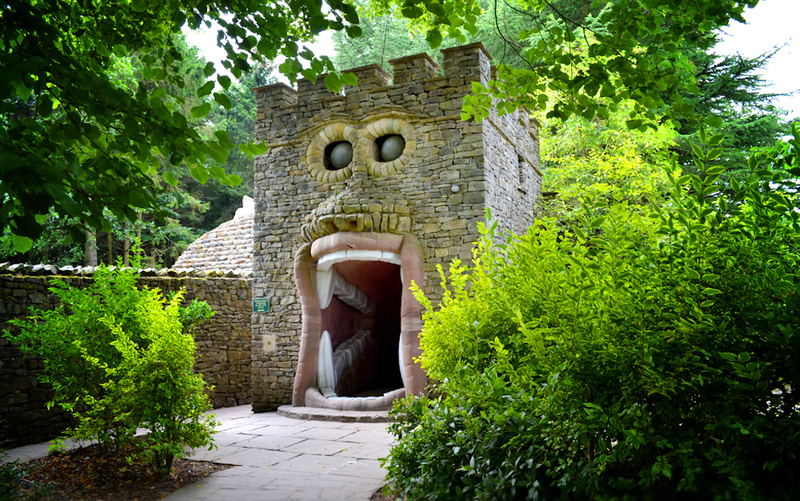 Little adventurers are encouraged to explore tunnels, mazes, a creepy mausoleum and hidden passages at a large garden where getting completely lost is all part of the fun. You will have a checklist of things to track down, but there’s not a map to be found. You will be served up a barrage of tricky challenges, including the occasional spray of water! Just keep your eyes peeled for the secret brass circles which reveal hidden markings and direct you on your mission. Children will have a whale of a time solving problems, and grown-ups will fall in love with the garden’s wit and imagination. 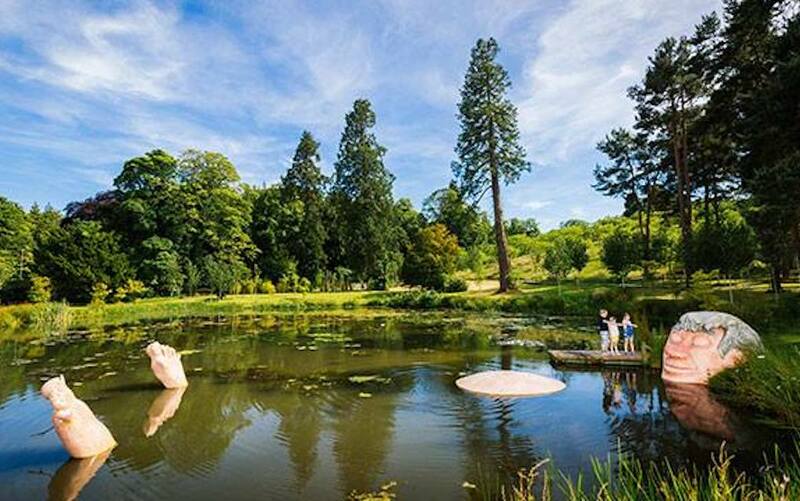 One of the UK’s most special locations will seem even more magical through a child’s eyes. 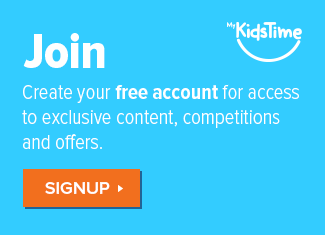 Kids are trivia sponges, and the facts and figures of this site will blow young minds of all ages. It’s amazing to think what was achieved 5,000 years ago with just man and ox-power, ropes and stones. The very sight of this monument will also make a big impression on children and get them pondering an era that is mysterious, even for grown-ups. If you haven’t visited since you were a child, Stonehenge now also boasts a fantastic new Visitor Centre and exhibition space, which includes a 360-degree virtual experience, plus over 250 objects of international importance will be on display, and the reconstructed face of an Early Neolithic man is a highlight. The immediate surroundings of the stones are also undergoing dramatic improvement so it’s worth a visit with kids more than ever. 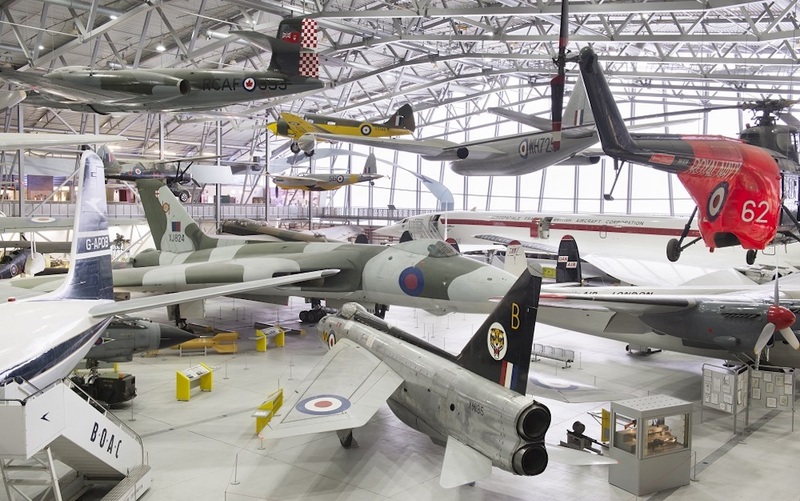 Full of activity, excitement and nostalgia the Imperial War Museum has over six hectares of indoor and outdoor displays to create an unforgettable experience whatever the weather. With a collections of more than 200 aircraft, tanks, military vehicles and naval exhibits, Duxford has something of interest to everyone. The Museum also runs family activities throughout the school holiday period. It will certainly indulge that young fascination for high-octane hardware and feats of wartime daring. This is dreamland for kids who love big machines. Recommended for your under 12’s this gem has all the energy-burning fun of a soft play park, in 50 acres of whimsical woodland. There’s interactive story-telling and puppet shows for toddlers, as well as mazes, zip-lines and rope bridges for bigger kids. Like an Ewok village for children, BeWILDerwood adapts to mature woodland and poses a natural and healthy alternative to indoor play parks. Glide along an enchanted river on one of their Bewilderboats, or get involved with a daily special event like fancy dress parties, puppet shows and storytelling. It’s all the brainchild of kids’ author Tom Blofeld and the characters from his books show up to make things even more fun. This award-winning forest adventure encourages parents to play alongside their children. Just because you’re grown doesn’t mean you should miss out on the magic! The name alone will spark kids’ active imaginations, but when they see the causeway their sense of awe will be off the charts. 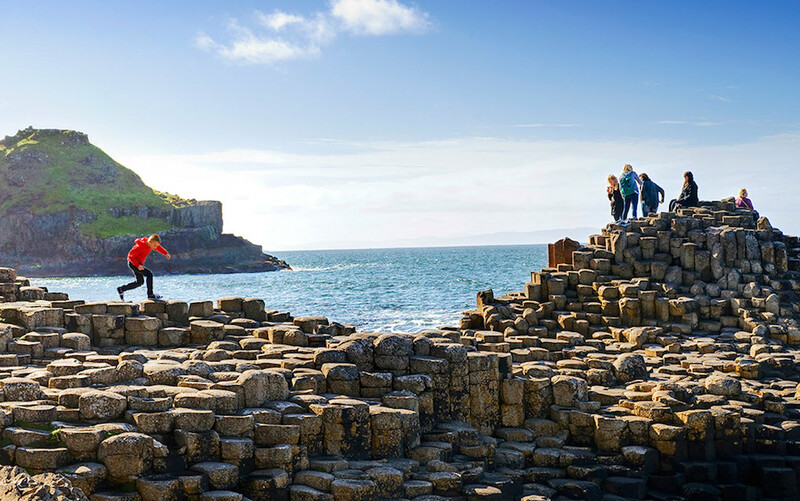 Take in the geology, flora and fauna of international importance at this UNESCO World Heritage site as you walk along the Causeway and discover the wishing chair, the harp and the organ – the three collections of curious columns. You can clamber over the rocks, picking out the weird and wonderful formations, and seeing if they match their old nicknames. Park up at the visitor centre and get to the site via the special shuttle, which has reduced rates for kids. The Centre, which is open daily, provides an exhibition and short audio-visual presentation that allows visitors to learn about the origins of the Causeway, and is the ideal starting point for walks along the coastal and cliff top paths. There are guided walks and the Centre also has a gift shop and visitor facilities. 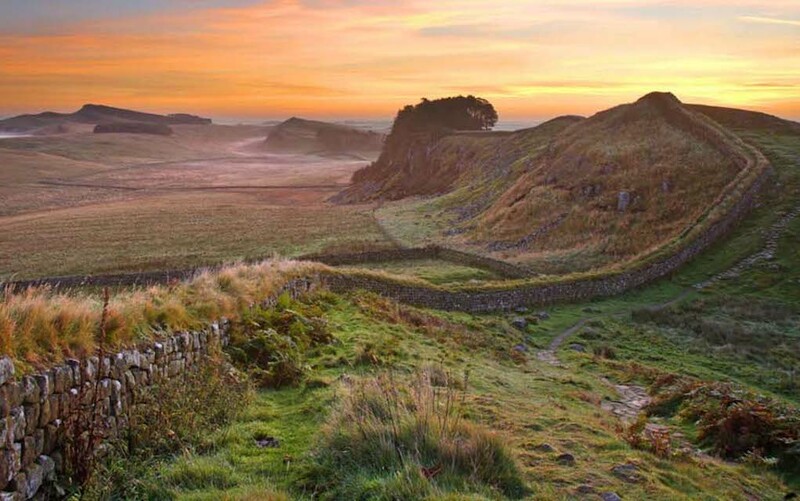 Hadrian’s Wall marks the northern boundary of the whole Roman Empire, a titanic wall between the civilised world and northern tribes. Hadrian’s Wall is the largest single Roman artefact in the world, and its length was marked with mile-castles and forts every five miles. One of these, Housestead’s Fort, encourages children to dip into the ancient past by clambering over these evocative ruins. From here you can walk down to Sycamore Gap, a spectacular valley made famous by movies and inspiration to scenes from Game of Thrones. Discover the rich history behind the archaeological remains, using the stone walls as a guide around the village south of the fort as you try to envisage the different chambers and rooms. All around and about you is Crag Lough, which is home to an array of wildlife and birds. You’re also on three of the National Cycle Network cycle routes, but should pick carefully if you’ve got young or inexperienced riders as what goes down must also come up again! The legend of the Loch Ness Monster dates back to 500AD, when drawings of a serpent-like creature were found on rocks along the loch. 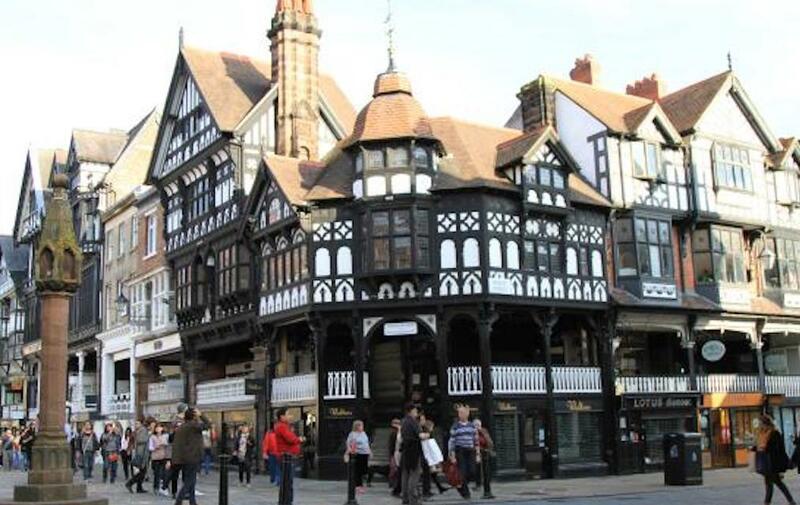 It has global renown as being one of the quirkiest and unusual places in the UK, packed with mystery and intrigue! 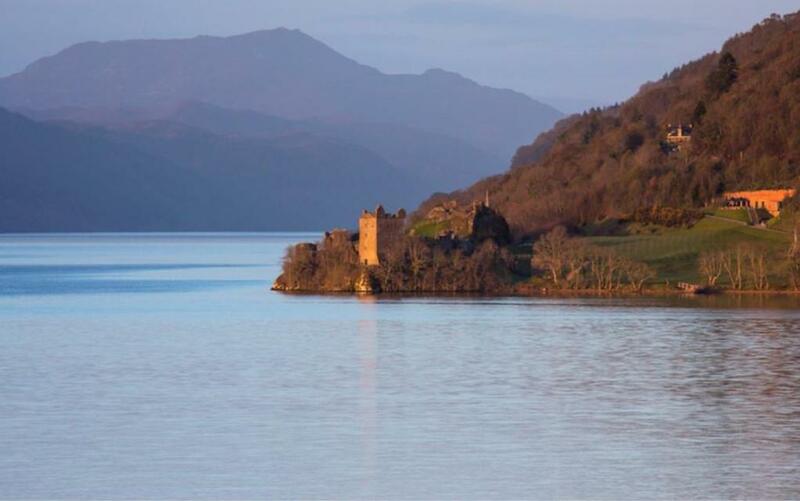 Take your young adventurers out on a Loch Ness Cruise, which is perfect for doing some Nessie-spotting! You never know, you may be lucky – but in the meantime, there’s also plenty of other wildlife on view including leaping trout and salmon, indigenous and migrating birds, or even otter and deer on the shores. 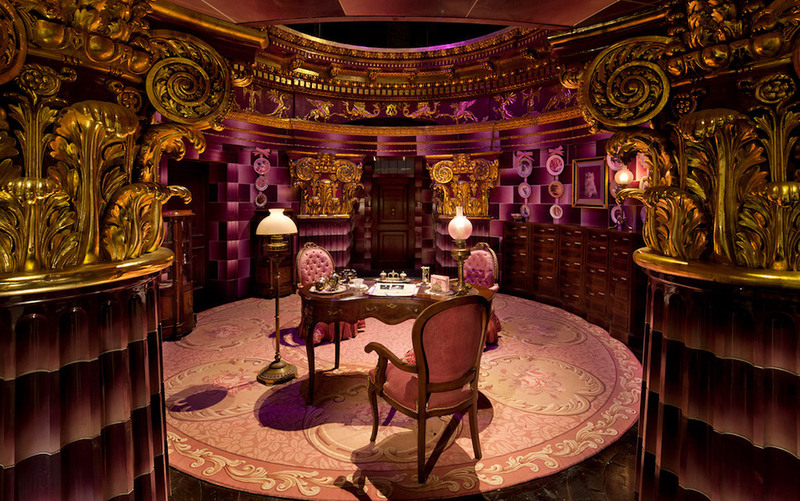 For a Harry Potter fan, what could be more exciting than stepping into the Great Hall or boarding the Hogwarts Express? You can go behind the scenes for secrets about the special effects and animatronics, and browse a decade’s worth of costumes, sets and iconic props. Beware the gift shop as wands and butterbeers, marauders maps and treats from Honeydukes are on offer as souvenirs of your day. Whilst on a Harry Potter theme, why not plan a day out so that the kids can tell their friends they’ve been to the real Hogwarts? 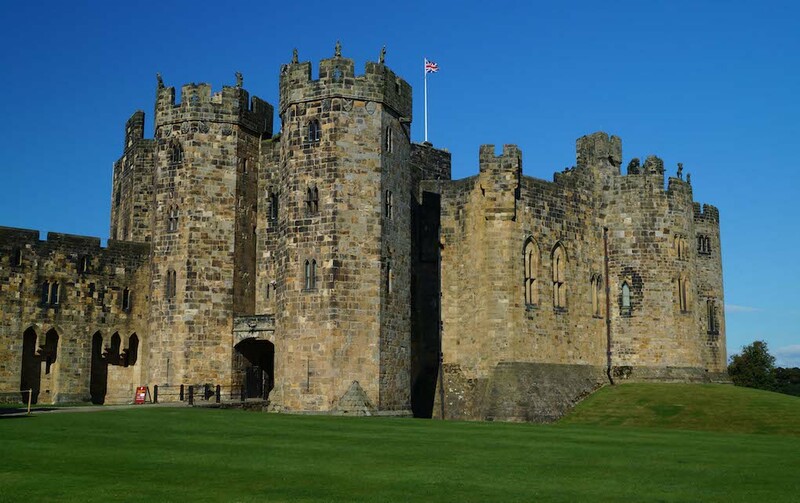 Investigate one of the few medieval British castles that have remained habitable to this day. You can also enjoy special events like Longbow and falconry demonstrations, traditional musical performances and meeting locals like Peterkin, the court jester. His fire eating, stilt walking antics will have you laughing and gasping all at once! 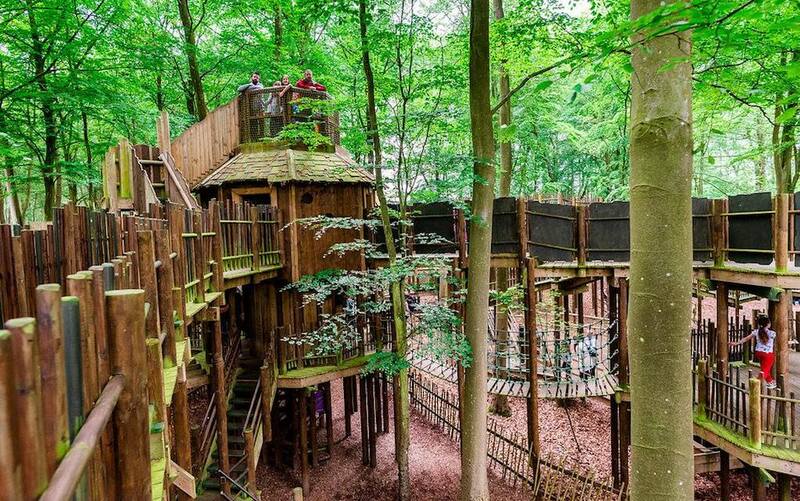 Just down the road from the castle, The Alnwick Garden is home to one of the world’s largest wooden treehouses, with walkways in the sky, rope bridges and a fantastic place to eat in the treetops, as well as the Woodland Walk. The Garden also features the Grand Cascade, a tumbling mass of water with shooting jets, and the Rose and Ornamental Gardens. The Serpent Garden features interactive water sculptures, and there’s also the Bamboo Labyrinth and the Poison Garden, with dangerous plants and their gruesome stories. Although The Garden has fantastic indoor and sheltered spaces in The Pavilion and Visitor Centre, it is predominantly an outdoor attraction so dress for the weather. It’s possible to get quite wet in the jets of the Grand Cascade, so a change of clothes is advised. 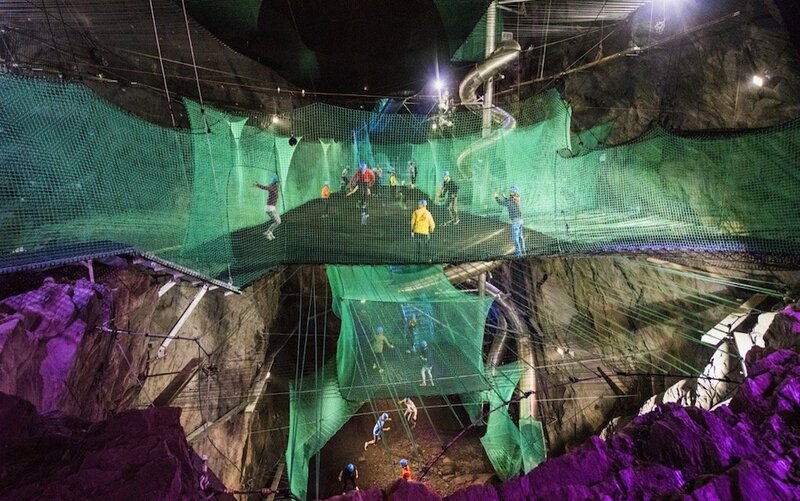 This former slate quarry is now a fantasy-like subterranean space where bottomless sheer walls are fitted with zip lines, rope bridges, climbing grips and even a massive bouncy net! This activity centre is fun, awe-inspiring and exhausting all at the same time and includes the first four-person zip line in Europe. Recommended for over 10s. 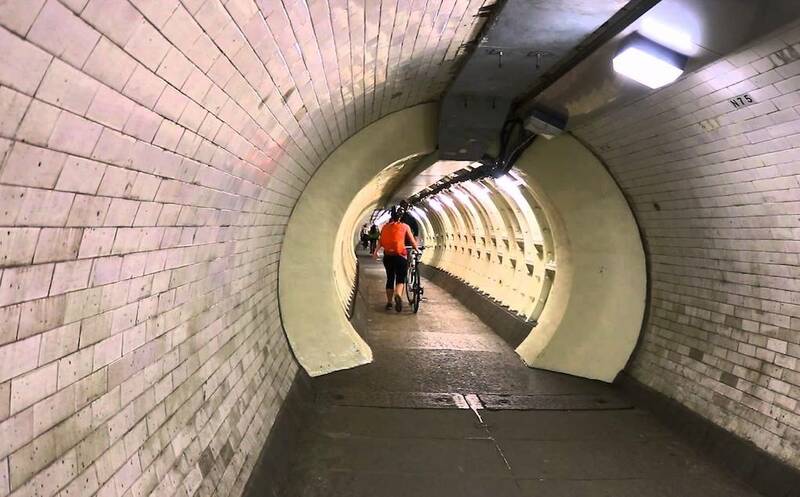 Did you know there’s a sort-of secret tunnel that runs under the River Thames? Take the family for a day trip to Greenwich, where there’s lots to do, and make sure you leave time for a quick trip through the Greenwich Foot Tunnel. The tunnel was originally opened in 1902, and runs 50 feet below the surface. You can enter it beside the Cutty Sark in Greenwich, descend via stairs or lifts, and then cross to Island Gardens on the Isle of Dogs. It has recently been refurbished and, as a public path, is free (and fun!) to walk through – and one of the unusual places on our list that’s easy to tick off. Despite the fact that many of the shop units are now occupied by well-known retailers and chains, the whole shopping experience feels different. This is due, in part, to the fact that The Rows vary in appearance, height and style giving the whole city a very quirky look! 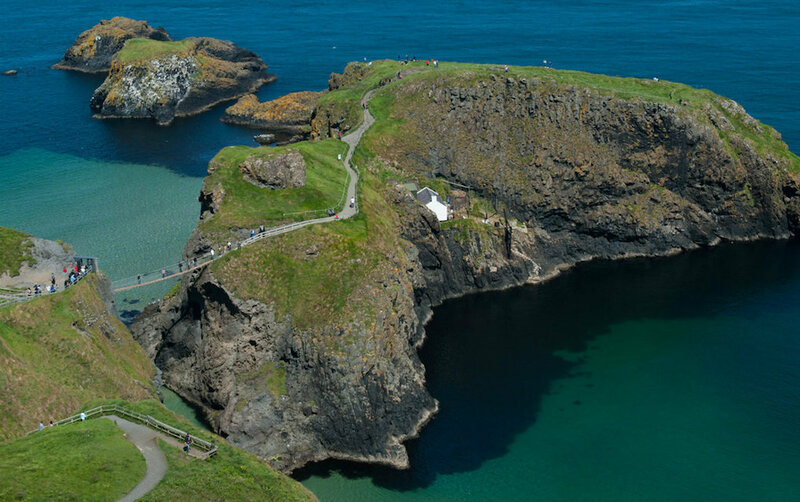 The Carrick-A-Rede rope bridge was built by salmon fishermen in 1755 to link the mainland with Carrick-A-Rede Island and the island’s one building, a small fishermen’s cottage. Suspended 100 feet above sea level, the bridge is now a unique tourist attraction for those who think they’re brave enough! As you cross the bridge, take a look down at the caverns below. Keep an eye out too for the variety of wildlife in the area. You may be lucky enough to see basking sharks, porpoises, dolphins, puffins, razorbills, oystercatchers and plenty more seabirds. It is worth noting that a timed ticketing system is in place. Visitors must purchase tickets from the visitor centre on-site, and will receive an hour’s slot for crossing the bridge – this gives you plenty of time to go for a bracing clifftop or coastal walk along the Ulster Way. 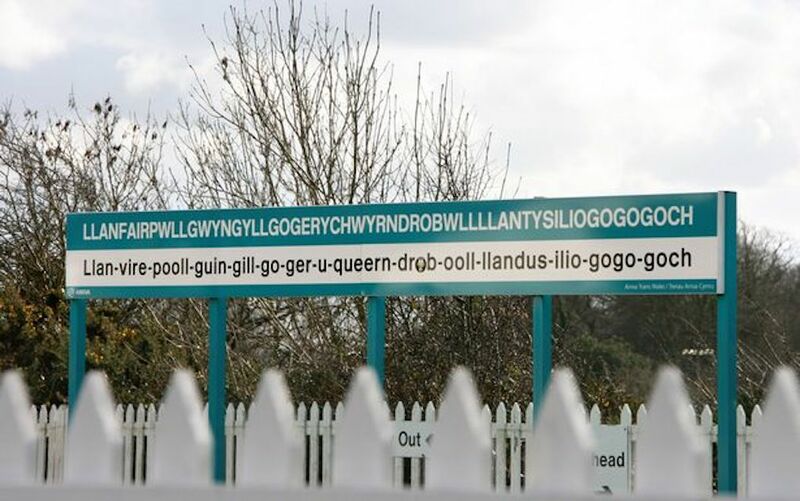 Yes, you read that right…Llanfairpwllgwyngyllgogerychwyrndrobwllllantysiliogogogoch is the name of a Welsh town on the isle of Anglesey. 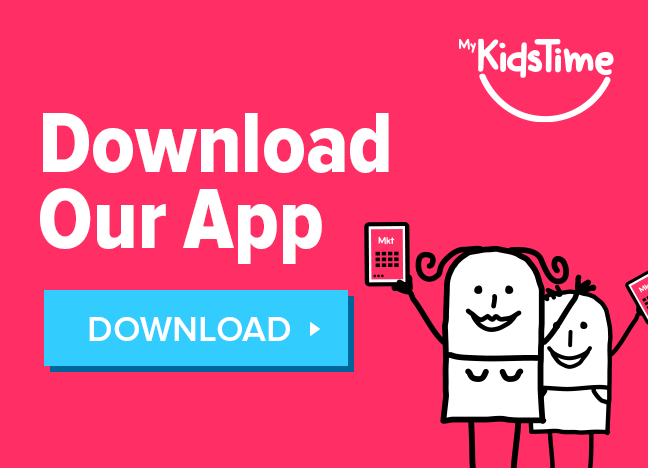 Have a go at pronouncing it – the kids will love this one! Originally known as simply Llanfairpwll, the town got its extended and tongue-twisting name in the 1880s. A local merchant concocted the name to ensure the town would become a tourist attraction. Translated, the name means “St. Mary’s Church in the hollow of white hazel near a rapid whirlpool and the Church of St. Tysilio near the red cave”! 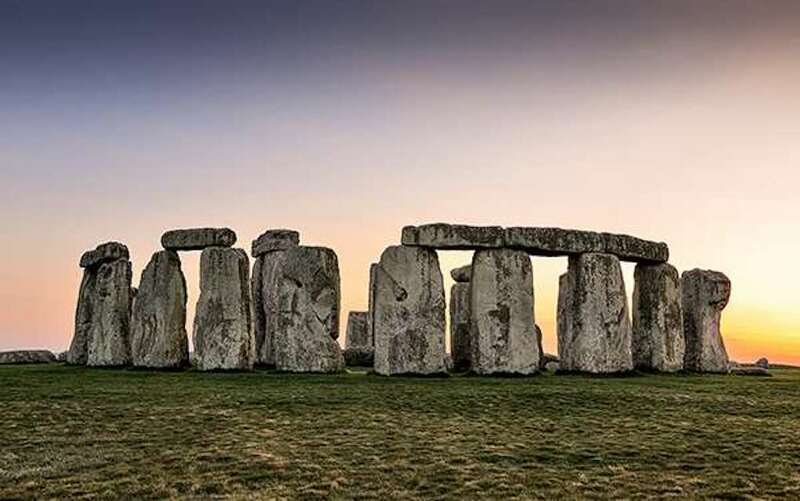 Which of these unusual places to visit in the UK tickles your funny bone? Leave a comment below and let us know – we’d love to hear from you!